Very sweet Christopher loved it !!!!! He is very blessed to such a sweet Aunt !!!!!! Darling.....I bet your nephew will think so, too! This is so cute. Did you notice how owls almost always look happy. Cute images and a very nice design. So cute! I love those little owls. Your nephew will love this sweet Valentine's Day card! 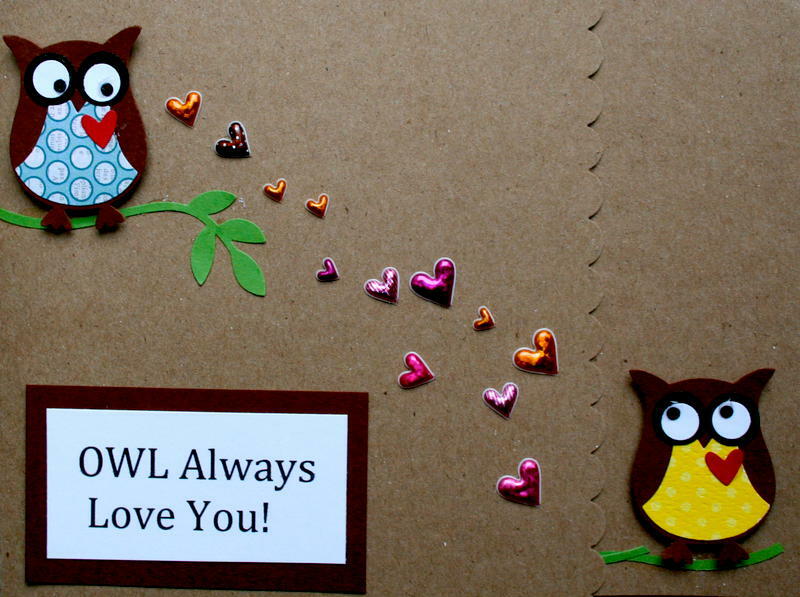 The owls are adorable, and I like the hearts and sentiments.